Home › Cocoa › Are we really running out of chocolate? Amid the media hype over fears of a worldwide shortage of cocoa caused by surging chocolate consumption in emerging markets like India, China and Brazil, how are chocolate industry leaders addressing sustainability issues in the global supply chain? In their commercial arrangements, manufacturing companies are increasingly pressuring farmers to deliver cocoa beans produced in accordance with specified social and environmental standards set by certification schemes such as Fairtrade, Rainforest Alliance and UTZ Certified. In public, chocolate manufacturers talk of “100% sustainable cocoa” and of “empowering smallholder farmers” to build “thriving cocoa communities”. In practice, however, they give few indications of how this is to be achieved. Rarely do we hear what is actually happening in the countries where cocoa is grown and how the people who rely on cocoa as their source of livelihood actually live. It was to find out more about how the industry is addressing sustainability issues and the impact of industry interventions on smallholder farmers’ livelihoods that I set out for Ghana as part of my MSc studies in development. 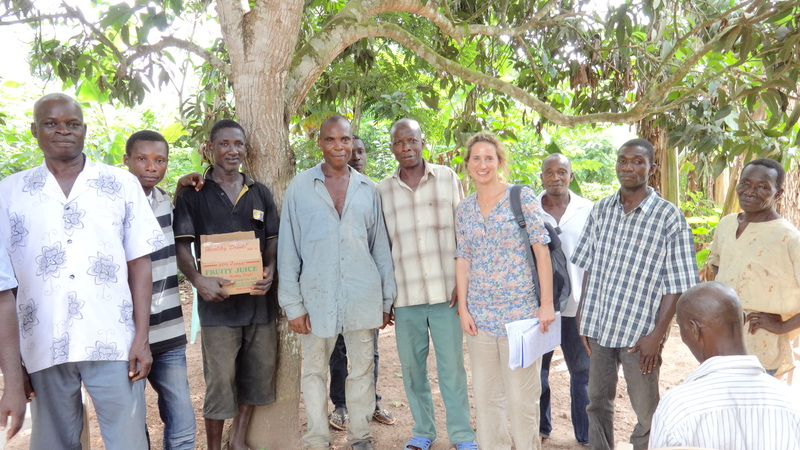 What I found was that cocoa farming, for the farmers that I visited, is a tough and often barely profitable activity. The crop that once was regarded as the “food of gods” by the Aztecs has become little more than a harsh means of scraping survival for hundreds of thousands of smallholder farmers in Ghana and for millions of others across the developing world. Ghana is the world’s second largest cocoa producing country, and cocoa is an important source of foreign exchange for its economy. 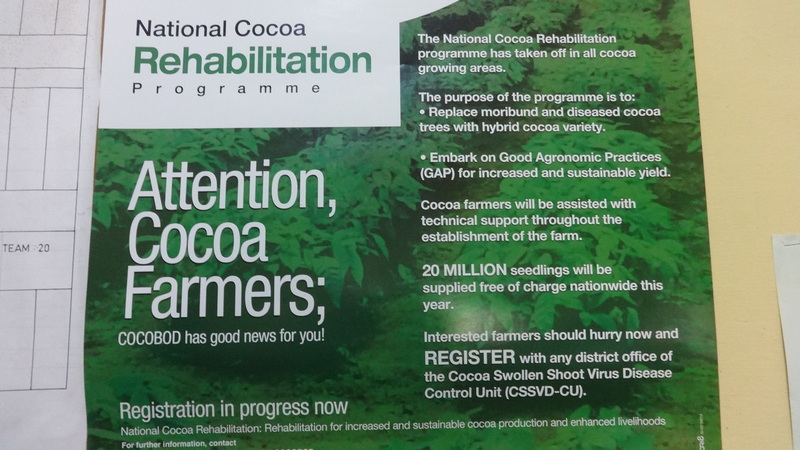 Around 800,000 Ghanaian smallholder farmers rely on cocoa as their main source of livelihood, and cocoa production is regarded as a main driver for poverty reduction in rural areas. Despite this, cocoa production volumes are under significant stress. Producer prices are far from generous, and many of Ghana’s smallholder cocoa farmers live below the national poverty line. Visiting cocoa farmers in the more remote areas of Ghana’s Western Region, I began to understand the challenges of trying to make a sustainable living out of cocoa farming. Most of the farmers that I encountered managed less than two hectares of land. Most produced only between 300 and 400 kg of beans per hectare, a low amount in comparison to yields in other producing countries. 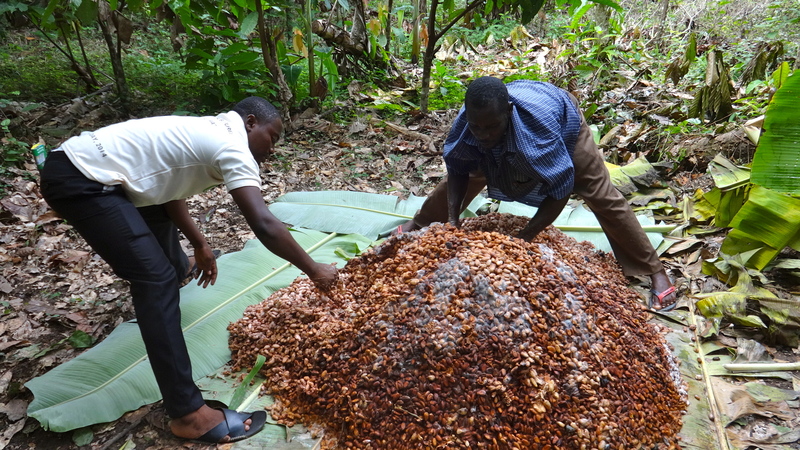 Although a fixed buying price for cocoa set by the Ghanaian government protects farmers from the uncertainties of global price fluctuations, these farmers earned an average annual income equivalent to only US$ 370, or just over US$1 per day. Very few farmers that I spoke to had other sources of income with which to pay for food, medical expenses and school fees for their children. In their plantations, things were a far cry from what I had seen a year earlier in Peru and Ecuador. 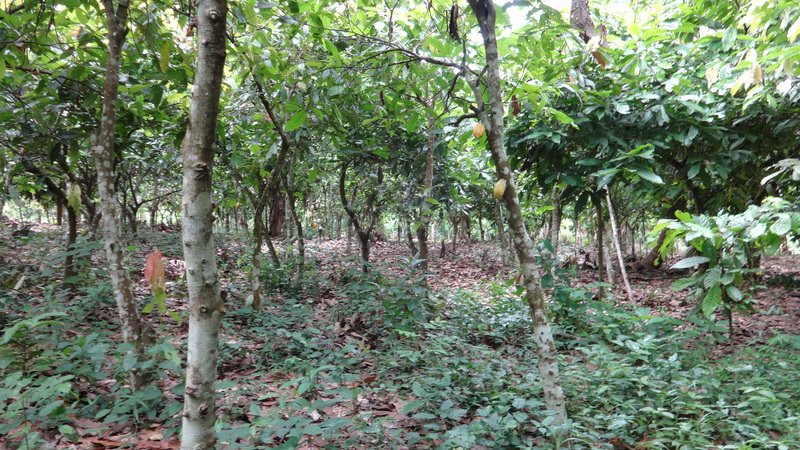 Many of the cocoa trees were damaged by diseases, in particular black pod and cocoa swollen-shoot virus. Some were also infected by parasites such as mistletoe and insect pests such as mirids and stem borers. Unlike in Peru and Ecuador, where cocoa farmers delivered their beans for fermentation in specially designed fermentation boxes at collection centres organised by farmer cooperatives and associations, the Ghanaian famers managed the fermentation process on their farms, heaping the beans into piles and covering them with banana leaves to induce fermentation. This more strenuous way of working not only puts strains on farmers. It can also reduce the quality of the beans, in particular for the development of the chocolate flavours, since it is more difficult to ensure that the temperature evenly spreads from top to bottom. Pests and diseases, aging trees, declining soil fertility, poor agricultural practices, limited access to farm inputs such as fertilisers, pesticides and machinery, and lack of liquidity and access to credit are some of the factors leading to low yields and poor crop quality in Ghana. Climate change is adding to the problems, as changing rainfall patterns, temperatures and soil conditions are affecting productivity levels. Climate change may also affect the stages and rates of development of cocoa pests and pathogens. 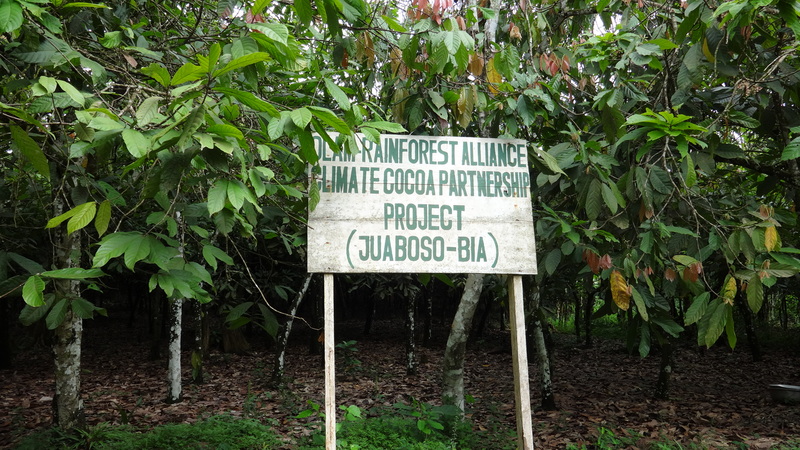 On the environmental front, Ghana’s cocoa sector has often been criticised as a major contributor to deforestation, loss of biodiversity and loss of soil nutrients. The Western Region has Ghana’s largest remaining areas of closed canopy forests, but timber extraction and cocoa farming are contributing to deforestation and loss of biodiversity. 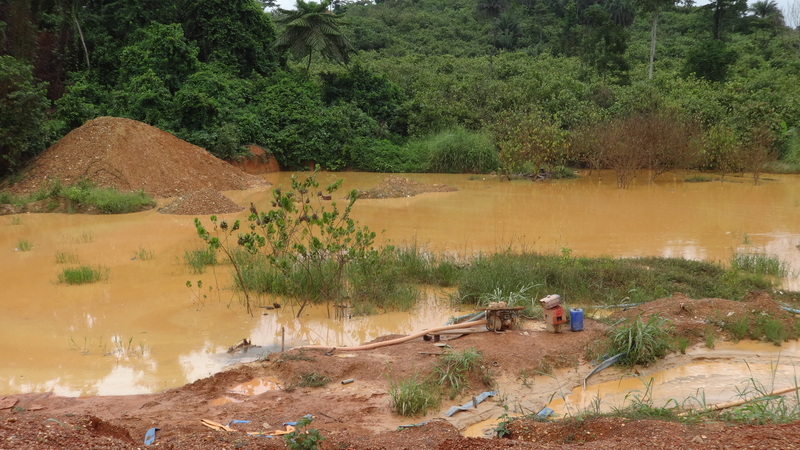 In addition, illegal small scale gold mining, a poverty-driven form of livelihood, is causing environmental degradation, including water and land contamination, with adverse socio-economic effects on rural livelihoods. Despite government subsidy programmes to fight pests and diseases and rejuvenate plantations, yields remain low. 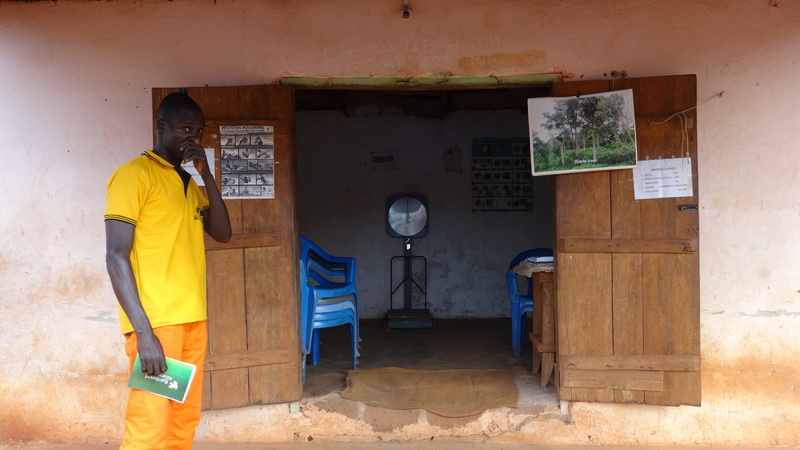 In Ghana’s Western Region, from what I saw, many of these schemes seemed to be bypassing poorer and more remote farming communities. At the same time, certification programmes were not in a position to counter the underlying socio-economic and environmental vulnerabilities affecting smallholder farmers. Officially, certification bodies set out to work with chocolate manufacturers to address sustainability and poverty issues in the cocoa supply chain. 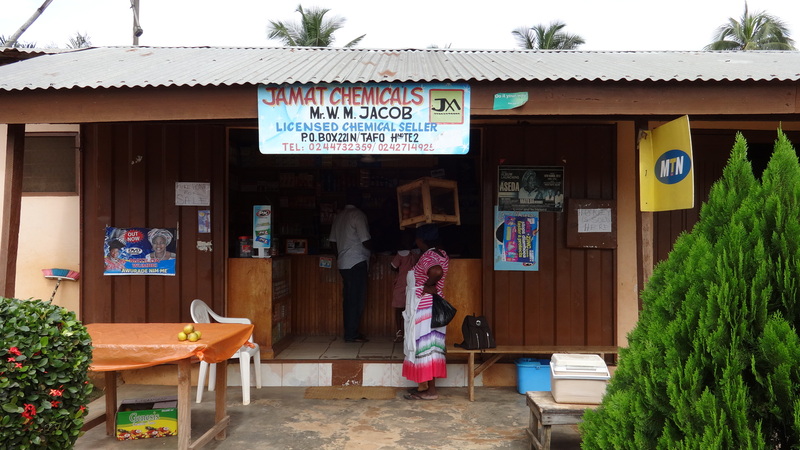 Corporate sponsors finance training programmes linked to certification schemes as a way of encouraging smallholder farmers to conform to global social and environmental standards. On the ground, however, the way these programmes operated highlighted a huge disparity between the certification ethos and farmers’ needs. Despite the certification bodies’ claim to be pushing for sustainable agricultural practices, I was surprised to see how, rather than encouraging integrated pest management techniques, trainers promoted the use of pesticides and fertilisers which were costly for farmers to buy and not always easily available. 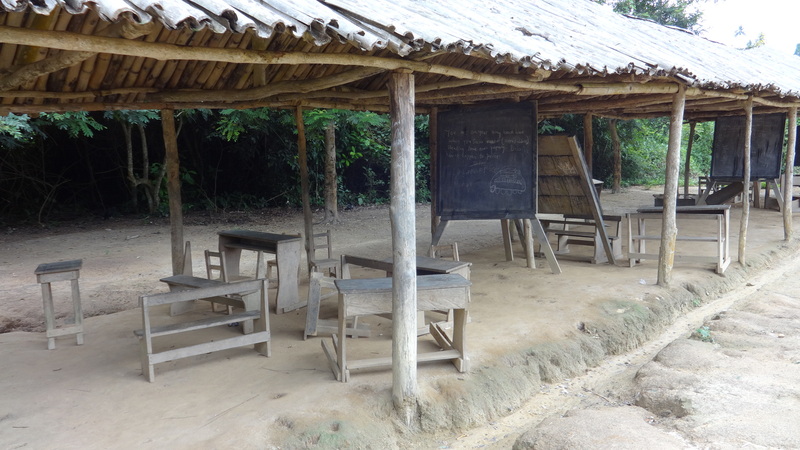 Rather than addressing the root causes that are contributing to farmers’ poverty levels — unequal land tenure arrangements, gender inequality, poor rural infrastructure, and environmental challenges — the certification schemes seemed to assume that training in basic agricultural practices and financial management would be sufficient to enable farmers to increase productivity and that higher incomes would follow, relieving them from poverty. Instead, farmers frequently found themselves in a vicious circle in which constraints on family budgets prevented them from investing in the fertilisers and pesticides needed to achieve higher yields and higher incomes. Premiums associated with participation in certification schemes were often minimal when it came to the amount that actually reached the farmers. Other studies of smallholder farmers in cocoa-producing countries have come to similar conclusions. Modest farm budgets frequently provide little leeway for discretionary use of cash after family expenditures on food, health and school fees. Farmers who are unable to achieve economic sustainability are ill-placed to uphold or meet the requirements for environmental and social sustainability. Where there is no solid and sustainable economic base for successful cocoa farming, environmental and social considerations are pushed into second place. Certification, while it can help in the drive for sustainability by setting standards in the social and environmental spheres, is not in itself a solution to the underlying socio-economic issues facing cocoa farmers. If chocolate manufacturers really want to ensure that there is enough cocoa to satisfy rising global demand, they need to take a more holistic approach to farmers’ poverty issues. These are multi-dimensional, and addressing them requires collaboration between traders, processors and chocolate manufacturers, on the one hand, and governments, NGOs and international development agencies, on the other. Cocoa farmers are getting older. 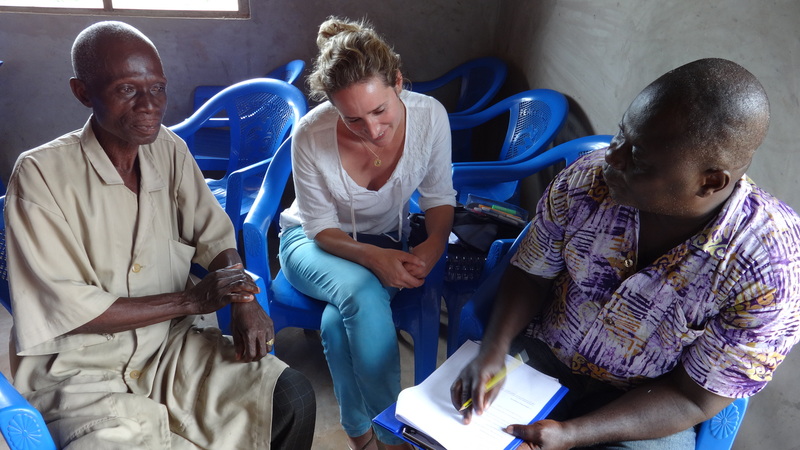 As my study confirmed, the average age of a cocoa farmer in Ghana is over 50. Despite high youth unemployment in rural areas, few young people are stepping in to take over from the older generation. Cocoa is not perceived as an attractive activity for young people for reasons ranging from land tenure constraints to the hard work that it involves and the low potential returns. If the global industry wants a more sustainable cocoa supply chain, its leaders must look beyond certifications to the needs both of today’s farmers and of a younger generation to replace them. Juliet, Thank you for your post. I just returned from Costa Rica where I saw cacao growing in small amounts on various indigenous tribal lands. Americans and Europeans must understand the true cost of their chocolate much more than they do, and the amount of labor and true rarity of this commodity. Then protecting the trees from viruses and the land from depletion will be more possible. Good luck with your efforts. Another excellent post. Went back and reread the first post about Ghana and interesting to compare. Do you see any box fermentation, larger producers, or cooperatives that you saw in Latin America. Reblogged this on Spirit Of Life. Thanks for such a deep feeling and wonderfull clear post, like to share this and I shall do this with respect. That was an interesting piece which reflects the plight of cocoa farmers in Ghana. Good work.